Mille-feuille With Whipped Orange Curd - I Join The Daring Bakers! I finally joined the Daring Bakers!!! I really don't know why it took me so long to register with this group of passionate bakers across the world, but am so glad I did it, really better late than never! Its exciting and also intimidating to be part of the group, challenging recipes every month, a dead line to meet, so many new things to bake, so much to learn!! Thanks to Lisa of La Mia Cucina and Ivonne of Cream Puffs in Venice for making the baking lives of home-bakers even more exciting! Our October 2012 Daring Bakers’ challenge was hosted by Suz of Serenely Full . Suz challenged us to not only tackle buttery and flaky puff pastry, but then take it step further and create a sinfully delicious Mille Feuille dessert with it! The nail-biting wait to know what my first challenge would be was over, so Mille Feuille it would have to be! 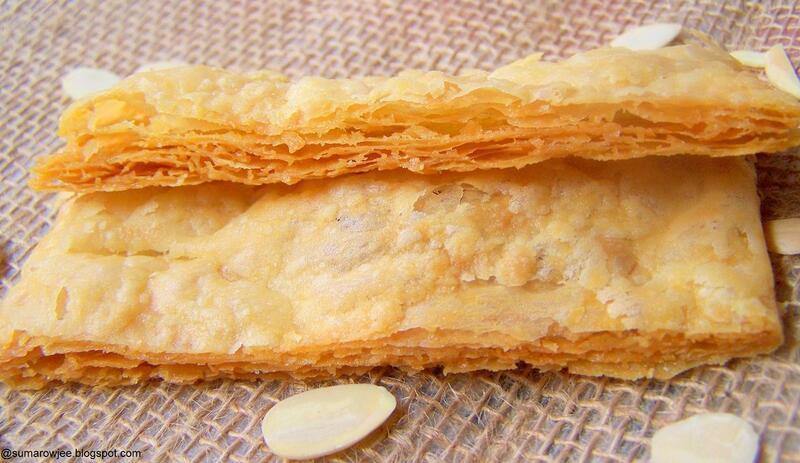 Mille Feuille is French for 'a thousand leaves' denoting the layers of puff pastry. Mille Feuille is a popular French patisserie treat, the traditional, classic version being layers of puff pastry filled with vanilla pastry cream. These are also known as Napoleons, custard slice or vanilla slice. Its often topped with royal icing and decorative chocolate squiggles, but Suz gave liberty with the fillings, sweet or even savory! Boy! Was I glad I had already made puff pastry earlier, albeit rough puff pastry! Life has been busier than ever, the obviously no-longer-little little brother got engaged! Meaning some shopping, a short stay at my mother's place. Made the puff pastry, froze a good part of it, baked the rest. Kids on vacation chaos and my chores kept me busy and I hesitatingly refrigerated the baked pasty - to be photographed when I returned home from Mom's. The pastry took the refrigeration well to my delight and surprise, all it needed was 5-7 minutes in a moderate oven to crisp it again! I had made the puff pastry long back as I wanted to post it on time, excited like a kid waiting to show off his latest drawing! But I think the forces above wanted my first challenge to be memorable in some way at least. I did something to change the settings in my camera, could have cried seeing the pictures, Picasa refused to stop throwing errors at me, lost the internet for some time...Distress calls to Lubna and thanks to her, got the camera working better! Baked some more pastry, made some more orange curd, took pictures again!Sigh! Finally, my post comes in late, the post date being on 27th of the month, but thankfully the Daring bakers have a grace period for posting! 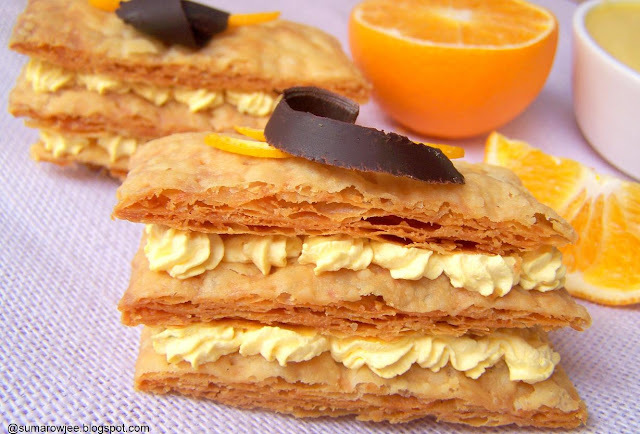 So here come my Mille Fuilles, flaky puff pastry layered with creamy whipped orange curd. Delicious!! Funnily, though I have come across lemon curd recipes a good number of times, I have never attempted to make it, putt off by the name I guess! But it was creamy and nice, zesty of course, a versatile filling you could use for cookies, trifles, tarts and cakes among others! I have wicked plans to try all of these! I have used Alice Medrich's Mock Puff pastry, recipe here . The orange curd is adapted from Dorie Greenspan's recipe. I have used orange juice and some zest in place of the lemon juice and reduced the quantity of sugar. Suspend a heat proof strainer over a medium sized bowl ( about 3 cup capacity). Put all the ingredients in a medium heavy-bottomed saucepan (with high sides to prevent splashing) and stir with a heatproof spatula to moisten the sugar. (The mixture looked quite watery at this point, but it does thicken, so patience, don't hurry it) Put the pan over medium-low heat and cook, stirring constantly, until the butter melts and the mixture thickens like custard, 4 to 6 minutes. ( I started with a spatula and switched to a whisk later) Keep your eyes on the pan because the curd can curdle quickly. It is cooked enough when you can run your finger along the spatula the curd doesn’t run into the track you’ve created. At this point the temperature on my instant read thermometer registered 175 F. Don’t worry if the curd looks thin at this point – it will thicken more as it cools. Remove the pan from the heat ( I strained it)and scrape the curd into a heatproof jar or bowl. Press a piece of plastic wrap against the curd to create an airtight seal and cool to room temperature. The curd thickens with refrigeration, mine was much thicker after refrigerating over night. To make the Mille Fuilles with whipped orange curd. The amounts of each component depends on the quantity you need to make. I would say half recipe puff pastry, 1/2 cup of orange curd and 1 cup of whipped cream to make about 4-5 of these. Make more of each to be safer. Leftovers of any component are still delicious undoubtedly! For the puff pastry : I normally cut the 10'' square of mock puff pastry (the entire recipe) into quarters and then use. I have taken the pastry out of the refrigerator and kept it at room temperature for about 10 minutes to slightly soften it. (If you have frozen it, thaw overnight in the fridge then proceed.) I think putting more pressure to roll the cold pastry will compress the layers. Do not leave at room temperature for longer or the butter will ooze as you roll. Line your baking tray with parchment neatly, you will place the cut rectangles on this. I have rolled the quarter about 3mm thick and 9'' square. Then cut into 2-2.5'' wide , about --rectangles . Dock all over the pastry with a fork or the pastry will puff up more. Refrigerate, covered (on the tray) again for about 1/2 an hour to firm up the butter again, the cold butter creates the layers. In the meantime pre-heat oven to 180 degrees C / 350 degree F. Bake for 25-30 minutes or till crisp and golden. Cool to room temperature. For the Whipped orange curd: I have folded in 1/4 cup orange curd and color into a cup of whipped cream. If you use more orange curd, the mixture may be runny and you may not be able to pipe. Fill the cream into a disposable piping bag fitted with a tip. Snip the tip to expose the nozzle. Place one rectangle each of the baked pastry on your serving platter. Pipe the cream. Place another rectangle of pastry, pipe the cream, top with another rectangle of pastry. Garnish as desired and serve. We ate this immediately and loved it! Crispy, flaky pastry and smooth zesty cream, what's not to like? Thanks Suz for this wonderful first DB challenge, I enjoyed doing it! 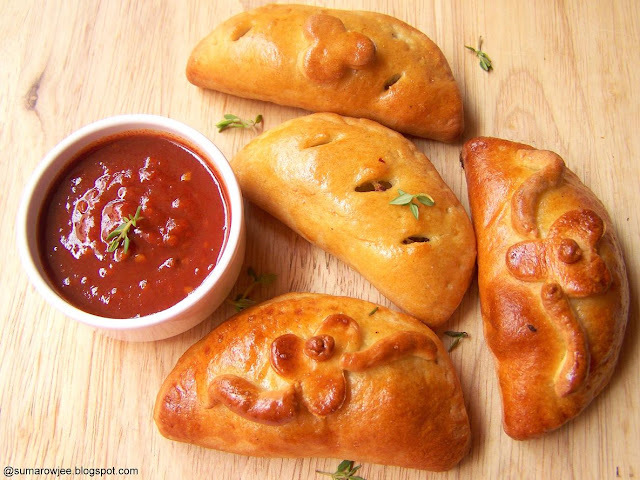 Empanadas With Creamy Potato And Caramelized Onions - Celebrating World Bread Day! 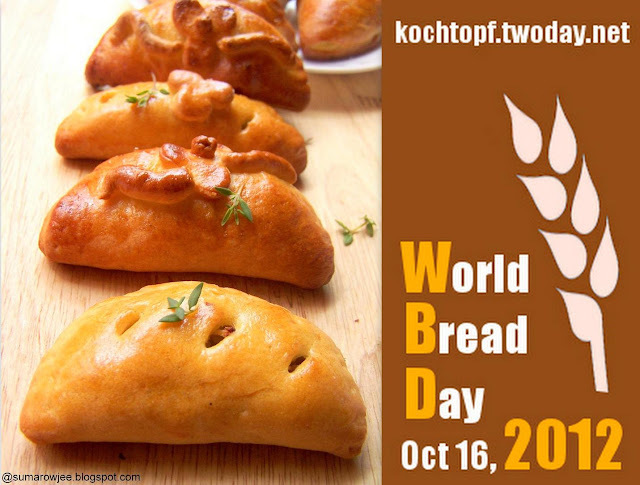 World Bread Day is celebrated on 16th October every year across the world. And bread I have been having on my mind all of last week! Just seeing my bread machine on the dining table is temptation enough to hunt for a good bread recipe, when its baking bread for an event, it means breads swimming in my head! There is something about baking with yeast, the satisfaction and the aroma, seeing the dough magically rise and turn flour, yeast, salt, oil and water into something tasty. And of course versatility is the other name of bread. Learn your way around one simple bread recipe and you could give it so many incarnations! 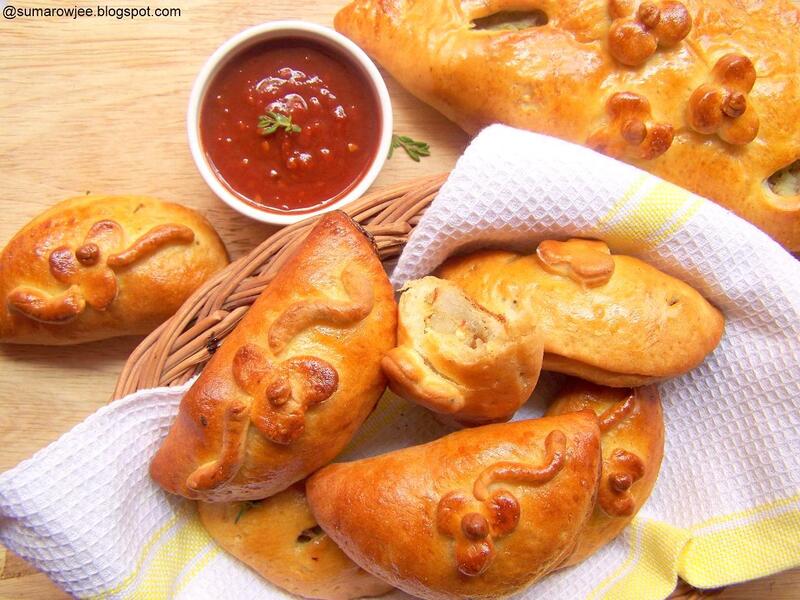 While I was contemplating what bread to bake and procrastinating for what seemed like forever, Aparna suggested that we bake a shaped or decorated bread for the event and post on this very passionate foodie group on FB, Chef At Large. An attempt at baking what looked like a promising decorative bread failed when it toppled in the microwave (the folly of thinking an inverted 12'' round tin will balance on the turntable, a kick-myself moment if there was one definitely!) and I was again hunting for another bread at the last minute. Empanada Gallega, this month's Daring Bakers challenge, seemed to be a good one, decorative too...perfect! 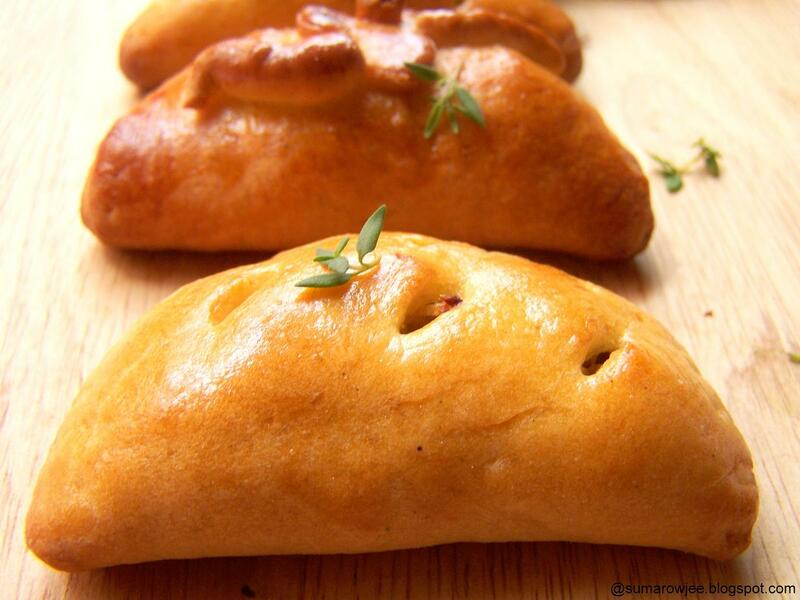 Empanada Gallega - A stuffed bread or pastry of Spanish origin which is either baked or fried, it can also be seen in Western Europe, parts of South East Asia and Latin America. The word 'Empanar' in Portuguese and Spanish means to wrap or coat in bread. 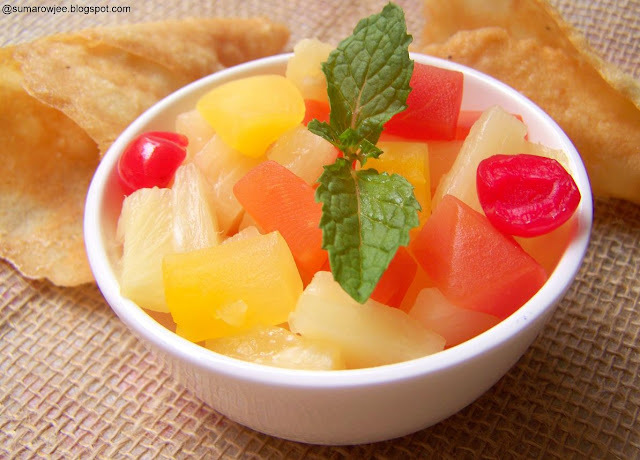 The filling can be sweet or savory, meat, fruit, vegetables and cheese. The origin of empanadas can be traced to Galicia and Portugal, where empanada is prepared as a large pie, later cut into wedges. 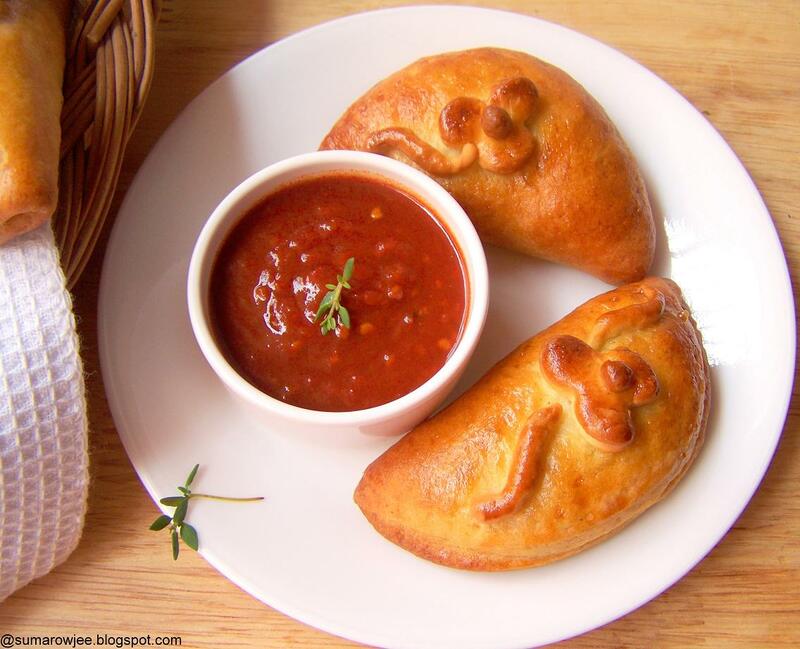 An empanada prepared this way makes a great canvas if you have an artistic hand! Here are my little empanadas, creamy potatoes, caramelized onion, garlic and herbs wrapped in a simple yeast dough and baked. A great idea for a filling snack with your tea, something that you could take on a picnic! Being the complete non-artist that I am, I made a feeble attempt at decorating my pastries, but had not thought I would actually enjoy it! I have used a basic bread dough for the pastry. You could use any bread dough recipe you like and vary the filling according to your preference. Just make sure the filling is not wet or uncooked causing it to give out liquid during baking, making the pastry soggy. Make the stuffing well ahead even before you make the dough to make sure its completely cool when you use it. For the filling, double it if you like, more is better than less! Heat the oil in a pan. Add the onions, cook on low heat till they are caramelized. Don't rush this process, if the onions are raw, they will leave out water when you bake. Add the grated garlic, saute for a minute. Add the chilli flakes, salt, mashed potatoes and the herbs. If the mixture is wet, dry it out a bit on low heat. Take off the heat. Add the cream and mix once the mixture is cool. 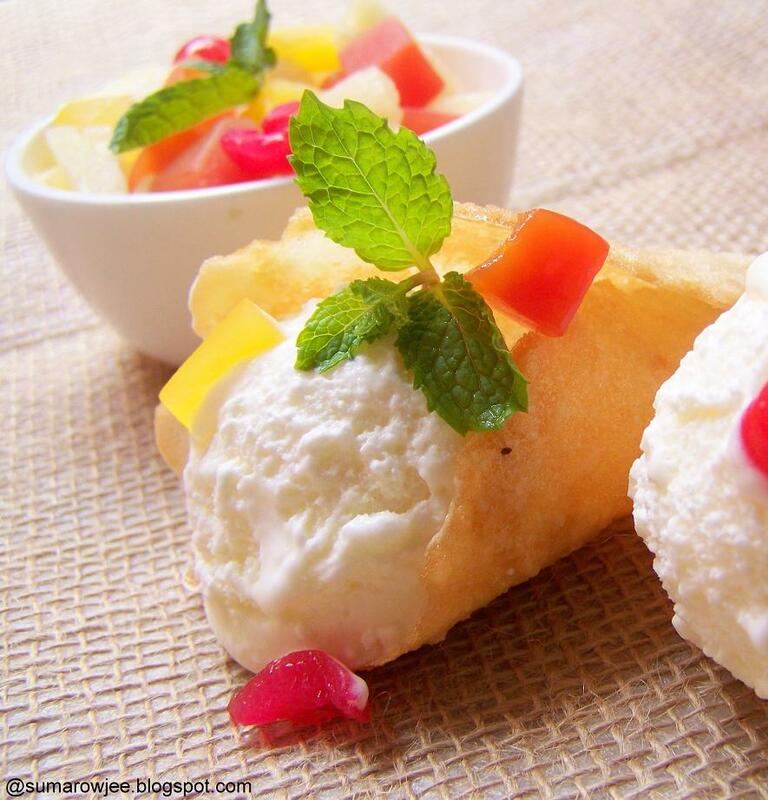 You may not want to add too much cream as your filling may become wet. Cover and set the filing aside while you prepare the dough. You could also make this a day ahead and refrigerate if convenient. For the Bread dough - To make about 8 -10 small (4'' round, 3 mm thick) empanadas or 4-5 (5'' round, 5 mm thick) big ones. I liked them bread-y and with more filling. Procedure : If using a bread machine for kneading - Dump everything in your bread machine pan, knead for 10 -12 minutes on dough cycle or till the dough is soft and smooth. If making dough by hand, sieve together the flour and salt. Add the rest of the ingredients and knead to get a soft, smooth dough. (If using active dried yeast, you would need to proof it - first add the yeast and sugar to the lukewarm milk and water, wait for about 5-10 minutes till frothy and then proceed with adding the rest of the dough ingredients, knead). Transfer the dough to a greased container or dough rising bucket. Keep covered in a warm place till it doubles. Mine took about 40 minutes. Lightly grease or line 2 baking trays with baking parchment. You will be placing the pastry on this. When the dough doubles, gently punch it down. Lightly flour your work surface. Place the dough and divide into 2 portions. Keep one portion covered while you work with the other half of it. Using a rolling pin, roll the dough 5mm (half a cm) thick. Using a 4'' round cookie cutter or the sharp lid of a steel box, cut the dough into 4 inch circles. Place them on a floured surface. Save the scraps, you could re-roll and use again and use some for cut-outs to decorate. Paint the outer edges (about half a cm), with the beaten egg. Place about 2-3 tablespoons of the filling on one side of the circle. Close the circle and press to seal. Use a fork to press the edges or crimp to get a decorative finish. Place the pastries about 2'' apart on the greased baking tray. Cover with a greased aluminum foil and keep in a warm place for about 30 minutes, till quite puffy. Using small scissors, snip the top pastry layer in two places to allow any steam to escape. Half way through the resting time, pre-heat your oven to 180 degrees C / 350 degrees F.
Bake the pastries for 25-30 minutes or till a nice golden brown. If you have rolled them thinner, about 3 mm, your baking time will be less (say 15-20 minutes). So watch closely for the first batch. Brush with melted butter when out of the oven if you desire a soft crust. Serve warm or at room temperature. Please note : I used egg wash to paint the pastries for one batch, but its difficult to tell when they are done. Nope an instant read thermometer is not great here as the bread portion is not thick enough to plunge it in to check. The dough has enough milk and sugar to make the pastries look a nice color when done. Your pastries will still look good and you can also tell when its done so can easily skip the egg wash. 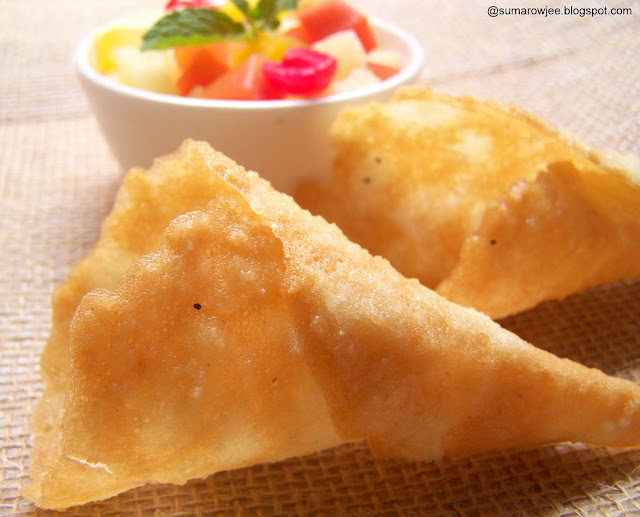 The empanadas go to the 7th edition of Zorra's annual event, World Bread Day 2012. But I am so thankful for the small portion of dessert I am allowed every week, reserved for my bakes predictably. 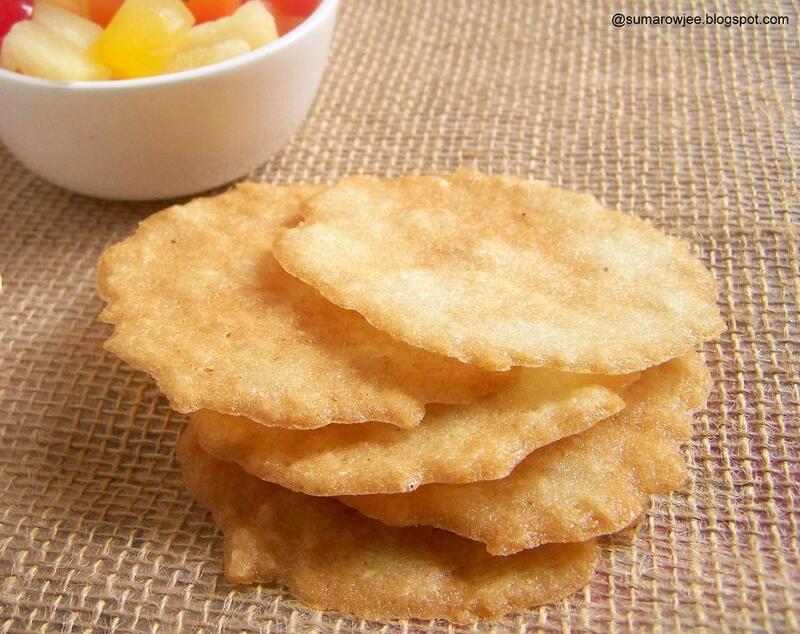 This week's calories found themselves in these delicate coconut tuiles. I love coconut and these wafers are great on their own. And the delectable thought of filling it with some fruit and ice-cream giving it a more tropical twist was too good to resist! Eat the tuiles as is or poise them over some pannacotta. Add a dash of rum to the batter if you are a rum person and serve with whipped cream or pineapple or mango ice cream and some diced tropical fruit you will be transported to Hawaii!! Don't shy away from baking tuiles like I have earlier thinking that these are tricky to make. If you can separate eggs and can time baking your cookies, you certainly must try these! Don't let the part of coaxing the hot wafers from the baking sheet and shaping them in nano-seconds deter you. Usually, if your wafers harden before you have a chance to shape them, you pop them back in the oven to soften and then shape. Well, I simply bake all my tuiles, let them cool. Then I put them one at a time in the oven for about 30 seconds to soften them and then shape them. Easier this way and no burning your fingers! From Alice Medrich's Chewy, Gooey, Crispy and Crunchy Cookies. I want to try more tuiles from here! Equipment - Baking trays or pans or cookie sheets, silicon baking mats, heavy duty aluminum foil dull side up. I use my baking trays lined with aluminum foil, dull side up. I used 2 trays and lots of foil as I needed to use a fresh piece of foil for each batch. A very thin metal spatula if you want to attempt to remove the hot cookies from the foil, cooling rack. Procedure: If baking cookies immediately, preheat oven to 150 degrees C / 300 degree F. If baking cookies later, just mix the batter as mentioned below and refrigerate. If you would be using foil, measure the size needed to line your tray or pan. Cut carefully making sure you do not cause major creases. If there are any small creases smooth it out. Wrinkles will mar the appearance of the cookies. Line your pan or pans if using multiple ones. You could mark the outline of a 3'' circle with a food grade pencil. Grease the foil with butter lightly but thoroughly. Large cookies sheets will be great, I used my 9'' square tin to bake 2 at a time. In a small bowl, whisk together all the ingredients till well blended. We are not whipping up a volume here, just simple whisking. The batter will look very thick and you will wonder how this could be actually spread thin. Let the batter rest for at least 10 minutes or keep covered in the refrigerator for up to 3 days. I used the batter the next day. The batter firms up on refrigerating and loosens up a bit after it comes out of the fridge. Drop level teaspoons of batter 2 inches apart on the prepared foil. Using the back of a spoon, spread the batter evenly in 3 inch rounds or oval or other shape about 1/16 of an inch. This will look like some egg whites here and there and the coconut here and there. If using multiple trays, you could spread the batter and keep the trays in the oven one by one. If using the same pan for the next set of tuiles, make sure the pan is cool before you spread the batter. 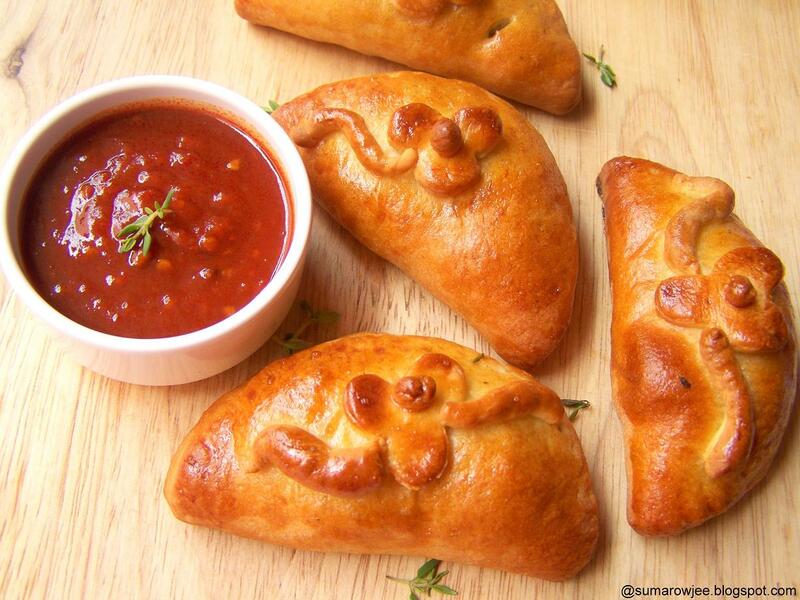 Bake for 10 to 11 minutes. The time depends on the thickness of the cookies. Watch very carefully, bake till the cookies are mostly golden with splotches of white here and there. Rotate pans if using a large oven and multiple sheets. If the cookies are not baked thoroughly, they won't be completely crisp when they cool. A test batch must tell you the approximate baking time. I baked for about 11 minutes. Remove the cookies sheets or pans from the oven and set them down. Keep your rolling pin / cup right beside the oven if you want to curve them or shape them into cups. You won't have time to turn, go to the table and then shape.You are supposed to slide a very thin metal spatula when the cookie is still hot and soft. Then shape it immediately into a curve or cigar and cool it on a rack. If the cookies harden before you shape, pop them back in the oven for a few seconds, they will soften, you can shape again. I normally let them cool and harden, then peel the foil from underneath the tuiles very gently taking care not to break the tuiles. After baking all of the cookies, I put one cookie at a time in the oven (the underside of the cookie facing up, so that when you pick up the cookie and shape it into a cone, you have the right side facing outward) on the sheet for 30-40 seconds till they became very soft and flexible. Then shaped them. They harden very very quickly as in a matter of 4-5 seconds, so its really important that you work very quickly. Timing is everything here! And psstt...even if you can't get them pretty and shaped, they will still taste delicious! Please note: Be very careful as you measure the flour. Excess flour can make the tuiles tough. If using the same pan for the next set of tuiles, make sure the pan is cool before you spread the batter. You could reuse the aluminum foil if its completely smooth and clean. Next time you have guests who are not chocolate lovers and you scratch your head about what you could make for dessert (happens to me all the time!) try these wafers and ice cream!